Geldeston, Suffolk, This was on the Waveney Valley line. Tivetshall to Beccles. 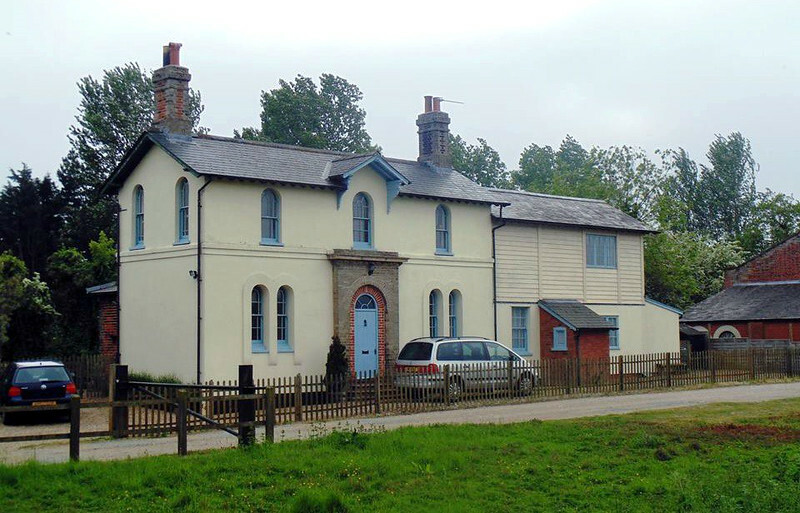 The station house retains many of the original features although there is an obvious extension to the right. Passenger services were withdrawn on 5th January 1953. Freight facilities lasted until 13th July 1964. Image dated May 2016. With kind permission of Spencer Mitchell.